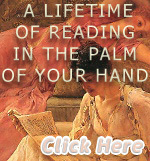 By purchasing books through the links on this page, you will support the ongoing work of the Internet Sacred Text Archive. Thanks! Note: since the selection of books seen here is generated by Amazon's search engine, we can't guarantee all results will be relevant. If you don't see something you like, just refresh your browser and see what else comes up, or click on the link 'Search for more books about English Folklore'.